Canadian guitar virtuoso Nick Johnston will play in the Florence Simmons Performance Hall Friday, January 12 at 7:30. Johnston is known for his catchy, melody-driven instrumental music, which ranges from blues to prog, to jazz, to gypsy, spanning anything and everything in between. 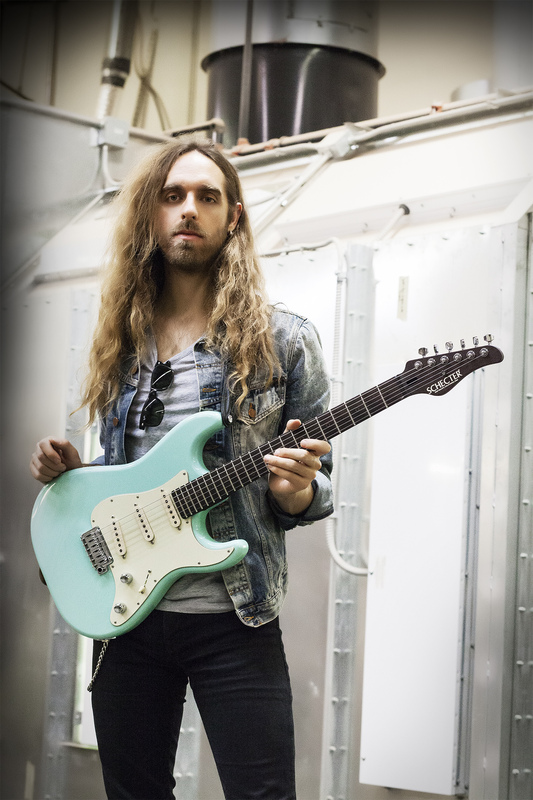 His music has attracted guest solos from guitar icons Paul Gilbert and Guthrie Govan, and has included rhythm sections featuring Marco Minnemann and Bryan Beller, of The Aristocrats. He has been featured on records for other artists including prog-rock bands Periphery and Polyphia. Johnston’s playing has attracted sponsorship from massive international brands including Friedman Amps, Seymour Duncan, D’Addario and Schecter Guitars. These brands enthusiastically share new gear, invite him to conferences and, in the case of Schecter, has even led to the production of a signature guitar, released in the fall of 2015. When creating music, Johnston finds great inspiration in visual content, drawing imagery from his favourite comic books and cartoons, especially the work of visual artist Mark Rehkopf, who was hired to create the album art for Johnston’s first album in 2011. The collaboration developed into an ongoing partnership between the two, and Rehkopf now designs all Johnston’s album art and show posters. The two have developed a symbiotic relationship, so that visual art and music converge, revolving around themes of outer space, a futuristic world, and sentiments of the unknown or unexplored. The artists collaborated on a graphic novel entitled Nick Johnston and the Tale of the Cosmic Strings in 2012. Johnston released his fourth studio record, Remarkably Human, in 2016. In support of the album’s release, he has toured the world, sharing sold out venues with bands like Animals as Leaders, Plini, David Maxim, Micic, and Periphery. In addition to the evening concert at the Florence Simmons Performance Hall, which is open to the public, Johnston will be conducting a workshop for students in Holland College’s Music Performance program. The Music Performance program is part of the School of Performing Arts, a partnership between Holland College and Confederation Centre of the Arts. Tickets to the evening concert are $10 per person, and can be purchased in advance at the Florence Simmons Performance Hall box office or at the door.